For months, maybe a year, I have wanted to write about everything that has happened on our journey. I’ve wanted to write about every miracle we have encountered, every heartbreak we have suffered, every setback. 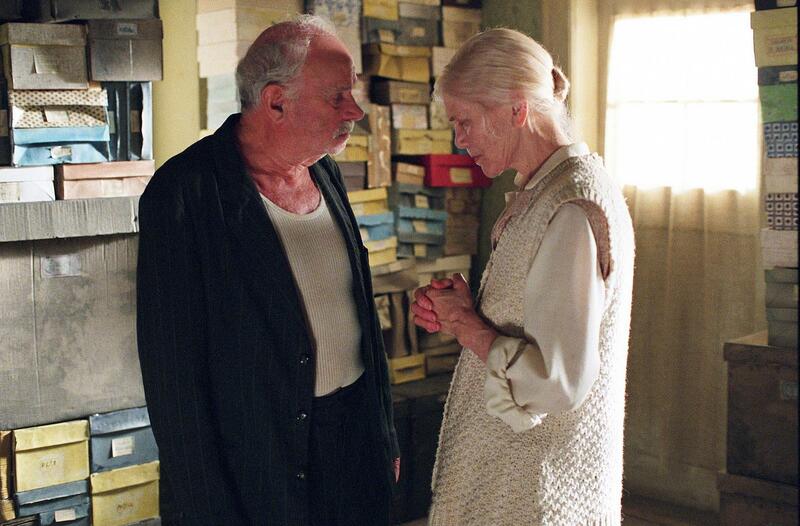 I’ve wanted to invite you in to join our amazement, and in for our false starts and myriad uncertainties. But I just couldn’t do it. Partly, I am unable to give information because we are bound to protect a lot of people. But that was OK, because the other part, the other truth, is that I couldn’t bear it anyway. The weight of writing it all down made my stomach turn. And now, I wish I had been able, and I wish I had been more courageous. I wish you knew every incredible detail about the winding and dangerous road that we have been called to take. I suppose that it is OK that I still cannot divulge it all. We have been trusted with so much, including the stories and the identities and relationships of all involved. We are privileged to carry all of it. I am also privileged to now be able to share the most wonderful, terrifying news yet: We are making progress toward bringing a Little Shope home forever. That’s it. That’s all I can say for now. You might be thinking, “Wait. That’s it? All these words for that?“ And I can surely see why. After all of your investment in us and in our journey, you might be expecting something of more substance. But I promise you that this word, progress, isn’t one I use lightly. It’s a sliver of light through the door, a flicker of hope. Maybe our hearts are too calloused right now to let it in. Hope is heavy, in spite of all those feathers. But progress is something we have not seen even once in the six years we have been trying to adopt a child. Progress has absolutely eluded us. Instead, we have been asked to take one step after another in a treacherous climb up a mountain, in the dark, in the wild, with no breeze and no water. Our only surety is the Hand we hold as we hike. Progress, then, to stretch the metaphor as far as it will go, is like a flash of lightening. It’s not enough light to show us what is next, but it is enough to show us how far we have come, to show us that we might be nearly to the peak so that we can begin our descent toward home. One difficult thing is that this flicker of light can be deceiving. We ask ourselves whether we truly saw what we thought we saw. And, the ground beneath our feet can give way any second. So much can still go so very wrong. We are not sure of our footing, but we are sure of our Guide. We are sure of the Maker of Mountains. We are sure of the call to walk the path to begin with. We are sure of the One who can heal every twisted ankle and who can soothe every parched throat. The last few weeks have been exhilarating, but they have also brought us to the brink of despair. For several days this week, we expected that our adoption journey might have ended — or, at the very least, taken us back to the very beginning. There is so much that I wish that I could share about what has transpired, but I must spare you the details for now. Let’s leave it with the reality that in the last week, things appeared to fall to pieces and then those pieces seemed trampled to dust. And then, miraculously, the dust was resurrected and reformed, and as of late last night, everything is a go. We have already spent thousands of dollars on this road that we did not expect to take, and we know that we still have thousands more to raise. We have spent so much energy and so much of ourselves, as well. So the thought of reaching the end was utterly painful and disappointing. I see now that this is our story: dust and resurrection, again and again. The next four weeks will be crucial. My hands tremble as I think of what is to come. I feel like Frodo, overwhelmed and exhausted but resolute. This is OK, I suppose, because that makes you Samwise, the true hero of the story. You, with your prayers and encouragements and hugs, have carried us again and again. You, with your donations and cheers and vision, have given our legs the strength to press on. Matt and I thank you, once again, for being part of the miracle of small resurrections in our lives. Thank you for every encouraging word and especially for every prayer, both for us and for our Little Shope. Thanks for being patient as we work to protect every other person who has been involved in our journey over the past year, for trusting us when we say that we can’t say more. Thank you for the love, dear Resurrection People, and for making the climb with us. “When my heart is overwhelmed, lead me to the rock that is higher than I.” It’s a verse that I found myself praying again and again during the Lenten season. It’s a verse that identified me with the poor, the orphan, the lonely, the oppressed. I’d sit in the darkness and I’d pray for our Little Shope and for his or her birth family. I’d pray for strength for us, and for a light on the path ahead. It’s funny when we get to see how we’ve been prepared for things, long before they come to pass. It’s almost miraculous when we notice the links in the chain that led us to a moment or a season or a path. And here we are, months after Lent had ended — a season during which we marked our fifth year of working toward adoption — and my heart is overwhelmed. Again, in the dark, my heart finds its way to these words. It’s not that we’re discouraged exactly. And it’s not that there’s anything particularly wrong. It’s just that we are starting over. And I haven’t been able to come up with another word for how we feel beyond just overwhelmed. Last week, we learned that the agency we have been working with has had a flood of new adoptive parents. 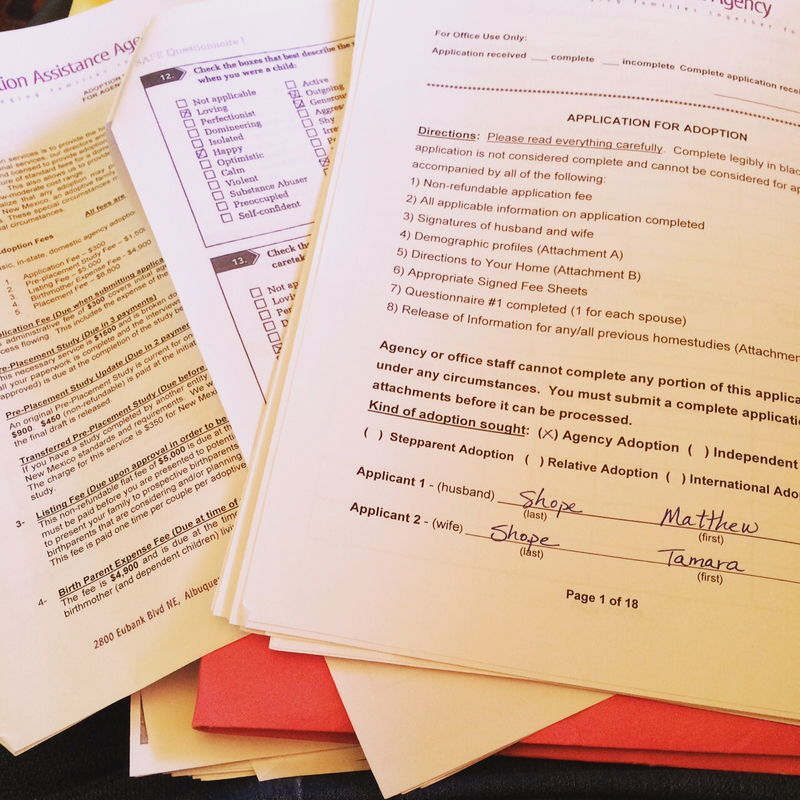 So many, in fact, that when we called them to give them the paperwork we had finally finished last weekend, we were told we were on the third-string waiting list of people who want to join the pool of candidates for adoption. Here is the crux of what that actually means: We’d be looking at the possibility of having to wait four more years for an adoption. At the current rate of placement, it could be about three to four years on the waiting list, and an estimated 14 months in the pool of adoptive families before we are matched/chosen. The news felt like a collapsing of Jenga pieces. We had so delicately placed each block exactly where we thought it should go over the last five years. We had hoped for so long, worked so hard, and had finally reached the halfway point in our savings/fundraising efforts. We were encouraged by the hundreds of supporters we have had, including the incredible families who hosted garage sales for us, donated money and furniture and time and, especially, donuts. We were encouraged by strangers too, who came into our path when we needed them most. Our families hoped with us, prayed with us, learned about orphans with us, and kept vigil. Last Sunday, we signed our names on the application and were ready to move. After so many years of standing still, we felt the rush of an open door. Except that it turns out the door isn’t where we thought it’d be. On Tuesday morning, everything changed. So, here’s what this means: Matt and I do not believe we are meant to sit on that third-tier waiting list. It’s a long story, but months before we received this news, we had begun praying about whether this really was the agency for us. (Remember what I wrote about seeing the links in the chain? Well, this feeling that we may need to look elsewhere is one of those links.) We are heartbroken to know that in several significant ways we are starting over. But we feel peace about moving forward in a new direction without the agency we had been working with. We are now in the process of figuring out our next step. Now, so many things are back on the table that we had previously ruled out for this adoption, including foreign adoption. We will begin interviewing other agencies soon. For the past few days, we have been in recovery mode, hunkering down in prayer and grief. There are a thousand alternatives, and we have begun researching about a dozen of them, including local, regional and foreign private and state agencies. I have no idea where this new road leads. But we are so grateful for every single person who has joined us on our walk. We are thankful for the small of army of folks who comforted us, wept with us, prayed with us and hoped with us. For my Southern friend who showed us great love with shrimp and grits and hours of uninterrupted snuggling with her newborn. For the men who surrounded Matt with encouragement. For my Porch People, the Lady Inklings, who gave me food, Scripture and laughter on the patio. For my friend, who fed me ramen and good words, and washed it down with a goofy movie and sour candy. For my family, who took us to our favorite places and reminded us what this is all for. For my church family, who knew — even without us saying anything — to rally to prayer. I wish gratitude was visible, because you’d see it dripping from our skin. And we have more opportunities for you to walk alongside us. And all of them involve prayer. Pray for every one of the 147 million orphans on this planet. Pray for the kids who aren’t orphans, except in spirit. Pray for birth families whose lives will be forever changed when they place a child for adoption. Know that no person places a child for adoption easily. Pray for lives, systems, governments, cultures and hearts to change so that fewer children will be become orphans. Pray, very specifically, for the kid(s) who will become our Little Shope(s). If anything from Jen Hatmaker‘s terrific book “7” stuck with me, it’s this: Sometimes, when we feel overwhelmed during our adoption process, when we feel such great grief for the child we have yet to meet, something HUGE is happening in his or her story. So pray now, for this very child and his or her family. Pray for us as we work through all the options before us. Pray for our finances, because many of the options are more costly. Pray for our encouragement. I’ll be honest: The last week has really stunk. Thank you for hoping for our Little Shope with us. I cannot wait for this little one to meet his or her family. One of the few things we have seen clearly this week: You are amazing. I guess I should begin by apologizing for not writing more often. The truth is, It’s so hard to provide updates when so little forward motion can be seen on the adoption front. We feel as if our whole lives are lived in the waiting room, a holy place where refinement and rest live. But it is a hard place too. On the outside, it probably looks as if nothing is happening. But on the inside, we feel the friction of honing. We feel ourselves being molded into the kind of people we want to be. And so that’s what I’ll write about. What’s happening, you ask? We are growing up. During Lent this year, I spent a lot of time in prayer. Like, a lot. 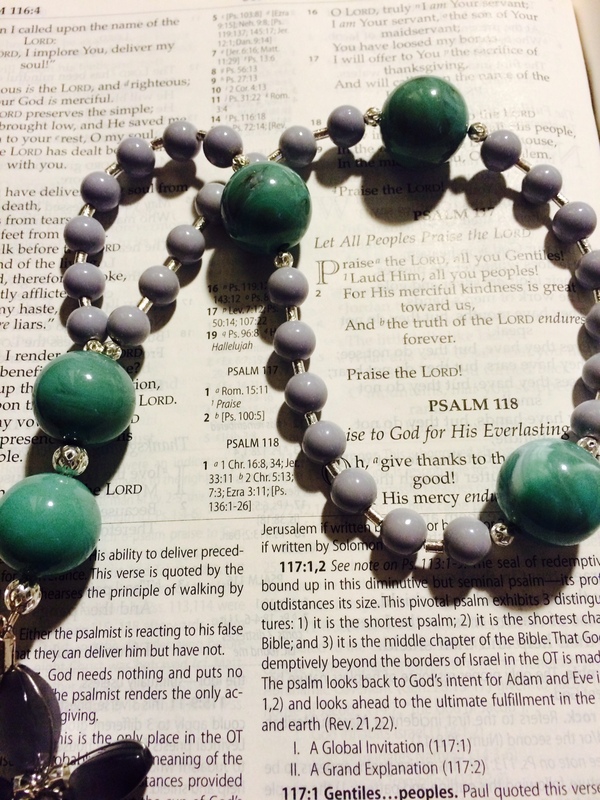 I practiced praying the Hours, on my knees with my homemade Anglican prayer beads, trying to be present for the poor, the widow, the oppressed, the lonely, the objectified, the fearful, the trafficked, the wounded, the jaded, the blind. And I wore the shine off the beads and clutched the cross so tight that it literally fell off. I prayed for these, and I prayed for us. I prayed for the kids we don’t yet have. I prayed for your kids, too. I prayed for my friends who are sick — whose cancer is warring with their bodies. I prayed for the Church, who is so often at war when it is called to be an instrument of peace. I prayed for help to live a nonviolent life. I prayed for forgiveness and the courage to forgive. And I know that all of this praying matters. One day, my kids will see me pray. They will know my faith, and they will know that peace on earth, goodwill toward men begins here in our hearts. That’s my hope, anyway. Please do not misunderstand my intention here. I’m not bragging. I’m confessing. I feel sick about our own consumerism and the way we have mistreated people and things for years. These are things we should have been doing all along. I have never prayed with such intention and intensity unless something was really, really wrong. And I have been a terribly wasteful human. God built this gorgeous planet and I’ve treated it like a piñata for 35 years. Glass is a pain to recycle in Albuquerque — and by that I mean that I have to take it with me when I go anywhere near a Smith’s. Not exactly a hardship. My convenience has been my guiding light, instead of the reality that nothing is really mine. It’s all borrowed treasure. God breathes life into existence, and I treat human beings like commodities and issues. I preach about defending the poor and the widow and the orphan, but I categorize people in my own circles based on their issues. I don’t love them as creation, people made in the very image of God. Instead, I move them around like furniture: Republicans go in this box, Dems in that one. The disaffected and the jaded get this box, next to the hipster Christians whose favorite hymns are written by Sufjan Stevens. You think your very specific parenting style is the only non-idiotic choice out there? There’s your box. Folks who like to fight me on Facebook every time I write about poverty? Here’s the old shoebox I prepared just for you! Oh, you think the LGBTQ community is the biggest threat to this nation and your faith? You think the poor don’t deserve steak or that immigrants are fleeing their homes in the tens of thousands because it’s fun for them? Let me usher you to that box just near the back door. Any “progressives” over here? I think you’ll like this posh little space I made you. It’s totally non-threatening, and we all get along, and all we do is talk about how great Tom Hanks is. Oh, you think like me and make my life easier? You get the biggest box of all! The roomiest one I have! I’ll send in a fleet of people to give you manicures and make you dinner. Fun, right? It’s so pitiful. I am sorry for the way I’ve categorized you. All of you. The final thing Matt and I did together was to find our “off” switches. On Sundays, we put away our laptops and Pinterest boards and games on our phones. We found each other. We played games, we went to the zoo, we walked and dreamed. We sat with people. Like, really, sat and listened. We heard. We grieved. We were present. It’s disgusting, frankly. Our Lenten practices this year are things I will keep in some shape or form for the rest of my days. Why on earth have I not been living? I turned 35 during Lent. It’s a milestone for us, because that means it’s been five very long, somewhat painful, very full years of working toward our adoption. It was on my 30th birthday that we said out loud for the very first time that this is something we wanted and felt called to. And the best way I can respond to questions about our waiting room is to give a glimpse of what’s been going on inside it. At church, we are studying 1 John in a series my pastor is calling “Manifesto.” It’s about what John wants us to believe about Jesus and what that belief means for our lives. So here’s mine: I believe that Jesus is peace. He is love. He told me to give strangers my clothes, to walk more miles than necessary, to be a punching bag rather than throw a fist, to avoid the bare minimum, to wash feet, to love my enemies and give my life for my friends. He tells me the kingdom of God is both now and not yet. Just like our parenthood journey. It’s very now, and it’s very not yet. Matt and I realize that our kids will be better off for this season of waiting. We have no fantasies about what adoption will be like. We know it’s a hard road, and this waiting business is the easy part. So we will continue to wait. To learn. To grow up so that we can raise kids who will be good grownups. 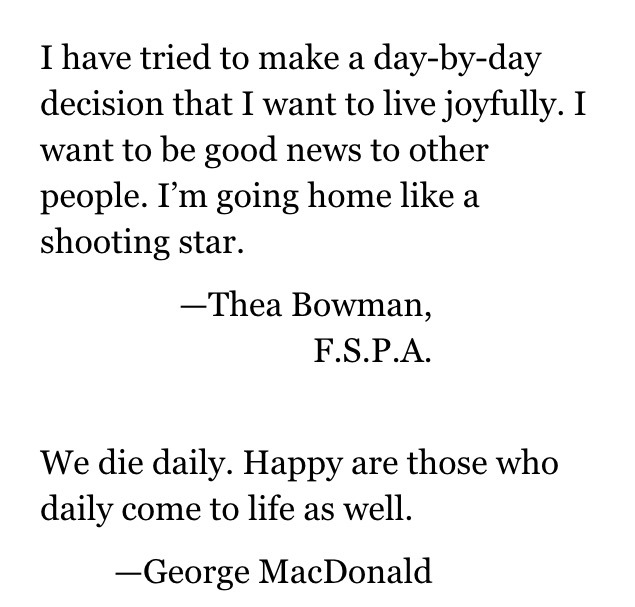 All quote photos come from one of the books I used for my Lenten reading, “Seven Sacred Pauses” by Macrina Wiederkehr. I want to begin by apologizing for not writing more often.The last year has been … busy. In the last 12 months, I have passed eight (EIGHT!) kidney stones. I’ve had double exploratory breast surgery. (Don’t worry: Everything is fine.) I have also made a major career change, quitting my job to launch my own writing and editing business. This was a huge decision that felt, in so many ways, as if it were being made for me. We’ve chosen to dive in, head first, with a good amount of flailing and inelegant kicking, so that I can be more flexible for the kiddo that is coming our way. And I’ve been so grateful that through all of it, our friends and family have supported us a thousand percent. As for adoption news, well, in some ways, there isn’t much to write. We are, still, waiting. We hope to be finished with our home study by the end of the summer. We, with the help of my incredible parents, completely renovated our back yard in the last few weeks. It is now warm and welcoming to adults, kiddos and dogs alike. I love to just sit in my little Westside oasis, smelling the lemon verbena in the breeze. It’s heavenly, and I cannot wait to teach my kiddo about the magic of gardening. It’s this constant theme of generosity that about does me in. I am reminded of of one of my favorite verses in the New Testament. It is a reminder to me that this kind of selflessness matters to God. I know what is has all meant to Matt and I, but I love knowing that God sees it too. Luke 6:38 says, “Give, and it will be given to you. A good measure, pressed down, shaken together and running over, will be poured into your lap. For with the measure you use, it will be measured to you” (NIV). That blessing, that promise, is for you, friends. You have been so generous. Not just with your money or things. You’ve given us constant encouragement, prayer, good thoughts, hugs and words and silence. You’ve given abundantly, generously. And we see it, often through grateful, messy and hot tears. God sees it too. Even as I want to use this space to offer my gratitude, I want to also use it to ask a favor. I thank you for loving our Little Shope, someone we have never met. And I want to ask you to extend that same kind of love to the little ones everywhere who as yet have no home. There are 147 million orphans (or so). Since October, about 47,000 kids have walked into America with nothing and no one. They are kept in holding areas, crammed in like socks in a drawer. There are kids who have loving parents but who still struggle with loneliness, with anger, with mental health issues, with rejection, with extraordinary poverty, with hunger. And there are kids who are in your path who need a mentor or a friend. I am asking that even as you pray for us or for your own kids, you pray for and defend these ones too. So this is it. One year of hoping for our little Shope with you, dear friends. As I wrote before, so much has happened, and so much is yet to come. I braced for the worst as this day inched ever closer. (Funny that we attach such weight to arbitrary dates, isn’t it?) Then, just when I needed to see it most, this arrived. The note that came with it is so splendid and personal and touching and kind, I was reduced to tears from the first line immediately. Suffice it to say that I am, as I have written time and time again, immensely blessed by the love of our friends and family. A most amazing friend gave me this gorgeous trinket this weekend. When I have it around my neck, it reminds me that we are so, so not alone. And that we are so, so loved. 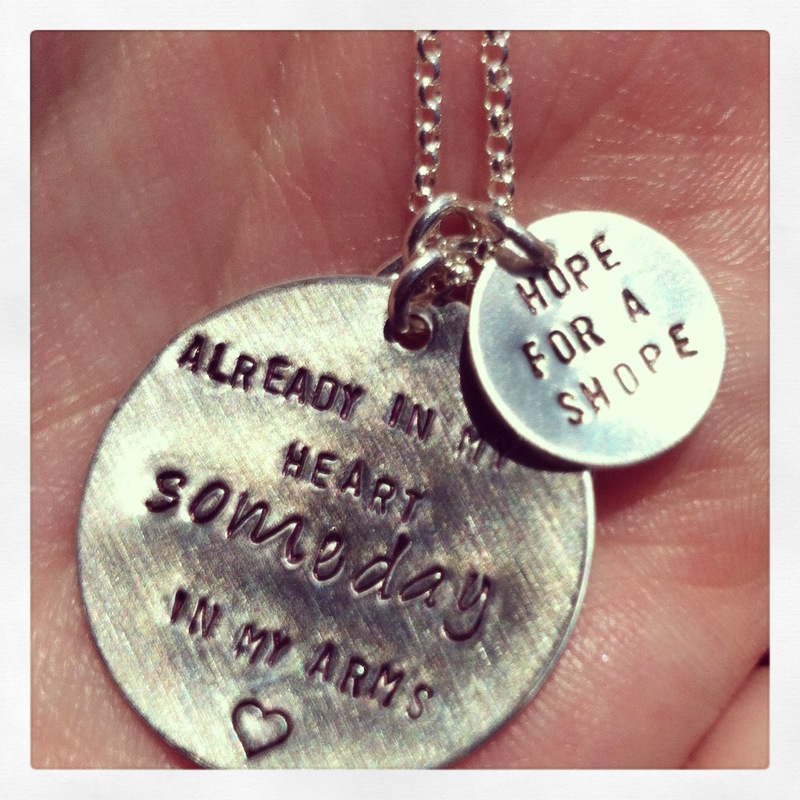 This little necklace is also a small reminder of something huge and intangible: That “one day” is real. It exists. We just have not gotten there yet. July 9 will mark one year since we started our big push to bring you, our Little Shope, home. It’s funny, because time flies. And then it doesn’t. On one hand, so much has happened in our journey for you. We’ve raised money, we’ve prepared our hearts, our home, our lives. All for you. And in other ways, time has stood still. We feel we’ve moved only inches in our very long journey to bring you home. They say that race car drivers experience a similar sensation. At 200 mph, everything feels frozen. In the last year, we’ve filled out (literally) hundreds of sheets of paperwork. We’ve raised and saved thousands of dollars. We’ve written dozens of thank-you cards, sold enough coffee to power a journalist for a solid year, and said countless prayers. We’ve fielded thousands of questions, received a thousand hugs, heard a thousand prayers whispered. All for you. And while we have waited, time and the world and every other living thing has not. We’ve met the Walton twins, who are living, breathing evidence that God hears us. Besides my prayers for you, dear one, they have been the subject of most of my conversations with God in the last year. You are going to love Eisley and Solomon. I already do. Your uncles have gotten married and watched their families grow. Have I told you yet that you have little cousins who are waiting to play with you? I’ll show you how to play Monopoly, which ate up most of the hottest days of my childhood summers with my brother and cousin. Hopefully, I can teach you how to be a good sport, in case you are as mediocre a player as I was. I went to Florida, which changed my world forever. I held the hands of women who almost lost everything on their journey to America. They risked it all because they dreamed about freedom. I also saw alligators and giant tomato fields and signs that said “Panther Xing.” I put my feet in the ocean and giggled with my friends, who can’t wait to meet you. This man named Nik walked across 2 inches of steel, 1,500 feet in the air over a giant canyon. This other guy named Felix jumped out of a vessel in space so that he could break skydiving records. It was awesome. You should know that I will ground you if you ask if you can do either of these things. We screamed in excitement watching Olympians swim and run faster than any human ever has. Swimming and running are totally acceptable hobbies for you, by the way, if the Monopoly thing doesn’t pan out. Our friends brought their babies home from all over the world, all over the nation and all over Albuquerque. We have rejoiced with them, and we prayed for them while they waited too. I even got to watch one take his very first breaths. I will never forget it. The world is crazier and scarier than ever. There have been earthquakes and bombings and giant waves and tornadoes. There were violent protests and civil wars and men who robbed America’s movie theaters and schools of any notion of safety. If I’m honest, this terrifies me. I feel so sad knowing that I cannot protect your eyes and mind and heart from everything. I want you to grow up in a world without heartache, but it is everywhere. Yet, I do have some good news: Your dad is a superhero. Have I mentioned that? Not the kind in a cape or who can catch bullets in the palm of his hand. His super power is even cooler than any of that. He is capable of more love and gentleness than most people will ever really understand. God gave him that gift, just for us. And compared to the love of God, it’s like a grain of sand. Cool, huh? This is important for you (and I) to understand, because even when the world is monstrous, love is stronger. I could go on for pages and pages. (You’ll learn soon enough that I’m not exactly brief.) But this feels like a good place to stop. You see, so much has happened, Little One. There are some things I cannot wait for you to know. Like the fullness of love. Like snow. Like a laugh so hard your tummy hurts. Like good books and warm sweaters and hot chocolate with too much whipped cream. My job will be to cultivate an attitude of gratitude in you and in our home. Each day will bring you reasons to have a thankful heart. I am thankful for my fellowship with God. For communion. For peace. For my need of him. I am thankful for my husband. His friendship is precious to me. His love is unmatched. He, with his tenderness, humor, resolve, courage and encouragement, is a balm to me and to all who know him. You, dear one, will be so lucky to have his love. I am thankful for my family. For their constant support, encouragement. My mom was my very first cheerleader, and she continues to be the best at it. She is fearless and hilarious and kind. I will be lucky to grow into half the woman she is. My stepdad, Patrick, is unfathomably patient and giving. He takes care of my mom and he loves my brother and I as his own. He has practiced his whole life to entertain you with his Donald Duck sneeze. My brother is funny and brave and tender and genuine. He was my first friend. My dad is loving and funny and supportive. He will teach you all the good Christmas songs and how to make biscochitos and taquitos. My stepmom, Theresa, is lively and funny and gracious. She texts me just to say hello and to remind me that she loves me. Too few people get that from their families. My stepsisters, Meahgan and Chelsey, are beautiful, strong, loving women. I am proud of them, and I am thankful for my friendship with them. My mother-in-love, Karen, is the epitome of selfless. She is warm and welcoming. She always has a song in her heart, and it is a privilege to hear her share it. My father-in-love, Frank, is wise and patient. He is also bratty and will teach you all you need to know about how to be a pest. My brother-in-love, Jason, has an amazing heart. He is kind and gentle, and he will never grow tired of helping you understand how things work. My nephews, Jarin and Joshua, are the most adorable boys I’ve ever met. They are sweet and soft and full of wonder. I love watching their personalities take shape. You will love them. I am thankful for my church. For knowing the meaning of grace. For living it, extending it, pursuing it. My pastors are friends. The music isn’t directed at me. People are generous and think for themselves. They are the hands and feet. I am thankful for the family into which I was not born. I am surrounded by love and mercy and laughter. Kindred spirits. They cause me to dig deeper and to laugh deeply. These friends inspire me to put one foot in front of the other, to walk in faith and freedom. We are likeminded yet so different. This loving group of friends is so eager to meet you. They are yours. I am thankful for the Gilead Girls and, especially, those whose babies are now a part of their testimony. I am grateful for tiny kicks and quick heartbeats and answers to prayer. I am thankful for my job, and the ability I have to do it. My coworkers are friends. My work is appreciated. My job supports us and helps us inch closer to you. I am thankful for the road we are on that will bring us to you. It is harder than we expected. It is sweeter than we expected. Scales have been removed from our eyes and hearts so that we could see you and see the world with more clarity. This vision is a gift, and we will not squander it. I am thankful for all those who Hope for a Little Shope. Their support and friendship and encouragement is precious to us. We could not have imagined the sheer number of people who have gathered to lift us up when our arms grow weary. There are so many hoping for you, longing to meet you. I am thankful for food, for those who make it and grow it and bring it to the table. I am thankful for the table, for the conversations that happen there, for the lessons I have learned. I am thankful for freedom, for opportunity, for our country. I am thankful for home. And I cannot wait to bring you there. I was just thinking about the day we were told we could not have children. I remember coming home from our doctor’s office and slouching into a chair on my porch. I remember the tears, too. It was a sunny day, which seemed spiteful to me at the time. News like that was meant for rain and thunder. I wanted all creation to commiserate, or at least show a little sympathy. That morning, everything changed. And of all the places I felt the blow, perhaps my expectations were hit the hardest. I expected to have kids by now. Or, at least, someday. That mournful passage in 1 Samuel, when Hannah was taunted for her childlessness, still makes my stomach turn. We haven’t endured taunting from the outside, but we’ve definitely suffered a sort of internal mockery. We’d see friends and relatives with their children, and we’d ache. We’d hold babies, smell their sweet faces, give them small kisses. They’d wrap their arms around us and drift to sleep. And we’d wonder if we’d ever have our own little ones to tuck in at night. Year after year, we were taunted by our own minds, by our expectations. It’s been five years since that morning. I like to think we’re a little wiser now. There’s a kind of peace that comes with the passage of time, and maybe that’s the root of whatever wisdom we’ve gained. The evidence of that peace is that we’ve learned how to wait well. We have learned how to wait in peace. Wait with hope. Wait while working. Wait with prayer. Wait with patience. Wait with thanksgiving. Waiting well doesn’t mean ignoring the reality of our situation. It doesn’t mean we’re naïve. On the contrary, we’re probably more aware than ever. Waiting isn’t fun and it isn’t what we’d choose. But we spent the majority of our lives in wait for something – a family, a spouse, a job, a vacation, a phone call, a birth, a death, a change. Waiting can be agony – a watched pot and all that – but it is a fact of life; the question isn’t whether we’ll wait but how. When I think about sitting on that porch, a day of bitter sunshine and anguish, I wince over the fact that I lived there for so long. As you know, we are now waiting for our Little Shope. We have such hope for the day we will meet our kiddo. And we believe the waiting – including all we have learned and done in that time – will serve to bless our house in the future. I had lived so long with expectations of what I believed my life “should” look like that I’ve missed the grace that was being poured over me daily. Even in the in-between, there can be life and growth and the sun can do its good work. In the past five years, we’ve learned to loosen our grip on expectations, and we’ve been blessed abundantly for that decision. The baby that comes into our home is the baby that was meant for us. I trust God to choose that child for me. I have hope in His provision. So yes, right now, we’re waiting. Without fear, without judgment, without anxiety, without impatience. That’s the goal, anyway. We choose to wait well. And being with you makes that waiting sweeter. We sent out our first round of thank-you cards for everyone who has donated to our fund. Writing them cost us many tears of gratitude. Our hearts are full. We have been blessed with support and kindness, from friends, our families and even from strangers. Wait. Wait. Wait. It’s our physical address right now; we have a tent set up in the in-betweens and the unknowns, a little plot of land centered in a time vacuum – a place that Certainty just does not visit. But we have another address too. It’s the one where our hearts and minds live. You can find us on Hope Boulevard, near the corner of Thankfulness and Prayer. Thank you for your prayers for us, for our Little Shope and for the orphans everywhere. For posterity. For our kiddo to know just how much our little family is loved. And for those tougher days ahead. Aliza Loya I love this SOOOOOOO much!!!!!!! Joline Gutierrez Krueger Oh wait, I see information below. Squee! Nicole Juarez-Strawn I love this so much! Raschel Brennan Praying! “Hope” is one of my favorite words and has brought so much meaning and strength in the hardest times. Here’s to Baby Shope. Can’t wait to meet him/her. Your story warms my heart. Tamara Casias Shope Thank you all! I am head over heels for this too!. My awesome hubby came up with the idea for the design, I put words to it and my incredibly talented friend Matthew Witkowskiput it together for us in a way that delights our hearts every time we see it. Matthew Shope Thank you everyone for the support. You are the best. You even got me to post on FB more than once in 2012. Fotini Grouios Walton I don’t often cry over these things, but the tears are pouring down my face after I read your blog entry. Thank you for allowing me/us to share this with you. Craig FritzI cannot imagine a better pair of future parents. You two and “Hope” will be blessed beyond imagination when this happens. Ashley LinneI can’t “like” this enough. I need a “love” button. Tamara Casias ShopeOverwhelmed. Thank you, thank you, thank you. Robert Garcia, Trilby Davis and 34 others like this. Joline Gutierrez KruegerYay! It will happen and it will be great! Jonathan StrawnIf I donate do I get a t-shirt? Leslie CookI’m excited for you all and Praying for you! Lisa GrusyWe are excited for you and Matt. It will be a privilege to pray and support hope for a little Shope! Jessica Cocchiola This is so exciting!! I wish I could be there with you as you begin this journey. 😦 But you will definitely be in my prayers! Love you guys! Melissa Solecki My heart is overjoyed!!!!! Praying for you, adoption buddy! So grateful to share this experience with you. I can’t wait to see who God will handpick to be your wee one! What a blessed one they will be. Tish Goff congratulations! you will be so blessed by this experience! Tamara Casias Shope Wow. Thank you guys! I am … overwhelmed by the love and support here. As Tish Goff and Melissa Soleckiknow, this road isn’t an easy one. We are blessed beyond measure to have your friendship. Tamara Casias Shope Oh, and Joline Gutierrez Krueger and Jen Barol and other Trib folk… My last conversation with BKP went like this: “Barb, I am pretty sure we are going to try to start the adoption process next year.” BKP, in that sing-songy, laughing way of hers: “A little Shope!” The words never left me. Joline Gutierrez KruegerAw, that’s wonderful! Fotini Grouios WaltonWe have been waiting sooo long for your little one. I am literally overjoyed that “the process” is beginning. This child will be so loved, by so many! Yay!! Carrie SeidmanSo excited for you! Couldn’t happen to a nicer — or more deserving — couple. Jeaneece Schmidt Honestly, Tamara Casias Shope, your beautiful words in this blog are just the FIRST of many gifts some little person is going to be given. What a blessing! Mary-Ann McBride AndrewsGood luck to you! Teri Barela Awesome! You all will be such great parents! Ashley Linne again with needing a “love” button! Kathleen CantwellKindred- It is such a joy to see God bring this prayer to fruition in His time. I can think of no couple better suited to be parents. Your blog is a beautiful blessing to all, especially Baby Shope! Prayerfully, joyfully, celebrating God’s faithfulness! Love you! Caren CocchiolaI’m tingling with excitement! Tamara Casias Shope Wow. You all are too much. I went to bed joyfully weepy and I ‘ve been a little weepy all day. (I’m looking at you, Jeaneece Schmidt and Kathleen Cantwell.) Overwhelmed by the love and encouragement from our amazing friends. And in case you missed it, you brought Matthew Shopeout of Fb retirement! That’s quite a feat! Robert GarciaYou guys will make great parents. The joy is overwhelming. I hope you become as “overwhelmed” as Therese and I are. There has been no greater blessing than that of the boys….and of a little marriage that occured over 11 years ago. A little Shope, what fun! Iliana Limón RomeroI am so happy for you guys and will cheering you on along the way. You’re amazing and, like so many others have mentioned, I know you’ll make great parents. It isn’t often that we humans get to see our lives flash before our eyes. Usually, these special glimpses into who we are come at a very, very high price. We see them before we say goodbye. Usually, these collections of moments are reserved for times we’re not around — funerals and memorials, in eulogies and prayers. It is no small thing to catch these glimpses while we are awake. And Matt and I are so very awake to the truth that we are loved. Our friends and family have poured out love. We have been blessed with incredible support, encouragement, enthusiasm and prayers. Every morning, we wake to a chorus of youcandoits. Every night, we fall asleep with a steady stream of tears pushing down our cheeks. We are undone. So grateful. Out of words. I haven’t been able to type even this without crumbling into a mess of tears and gratitude. In a way, at first, i felt bad for not being able to really be thankful without sobbing. But now, i see that maybe that’s the best place to be. What kind of world would I be bringing our son or daughter into if they regularly saw gratitude in their home? We are adopting because this is where God has us. We are adopting because we cannot wait to be called Mom and Dad. We are adopting because there are millions of children who long for Home. But now, we see that we can do all that because of our sweet, loving, encouraging, hilarious, tender friends and family. Thank you, dear ones, for all of it. The kindness, the peace, the cheers, the donations, the prayers. We could never repay you, prayer for prayer, cent for cent. But we promise to raise up a child who knows gratitude, who knows how to perpetuate that legacy. And this little baby will begin his or her life with us surrounded by thanks to God and thanks for you. To donate to our adoption fund, click here.